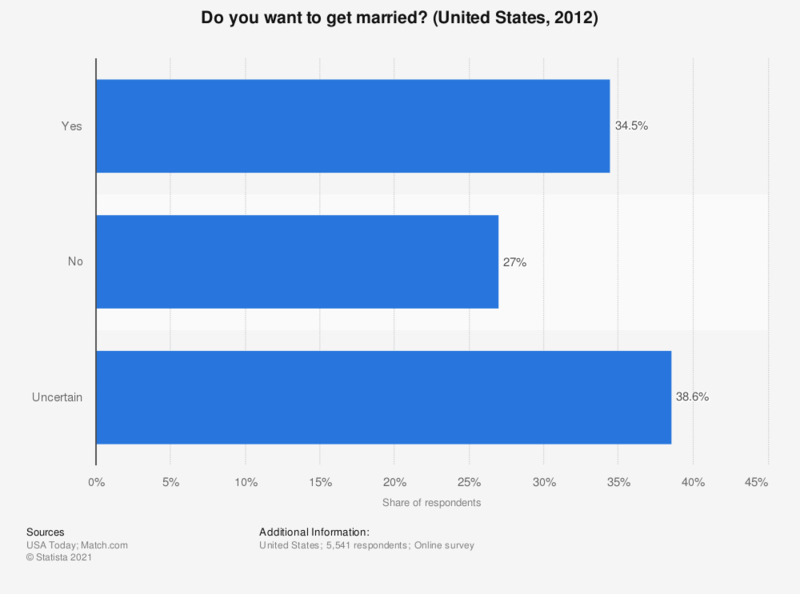 This statistic shows the results of a survey in the United States in 2012 on the willingness to get married. Some 27 percent of respondents stated they did not want to get married. The survey was conducted among U.S. adults who have either never been married or are widowed, divorced or separated. The source does not specify the exact time period during which the survey was conducted. Do you think there's a connection between love and marriage? Would you marry if you were old enough but hadn't met someone you really loved?